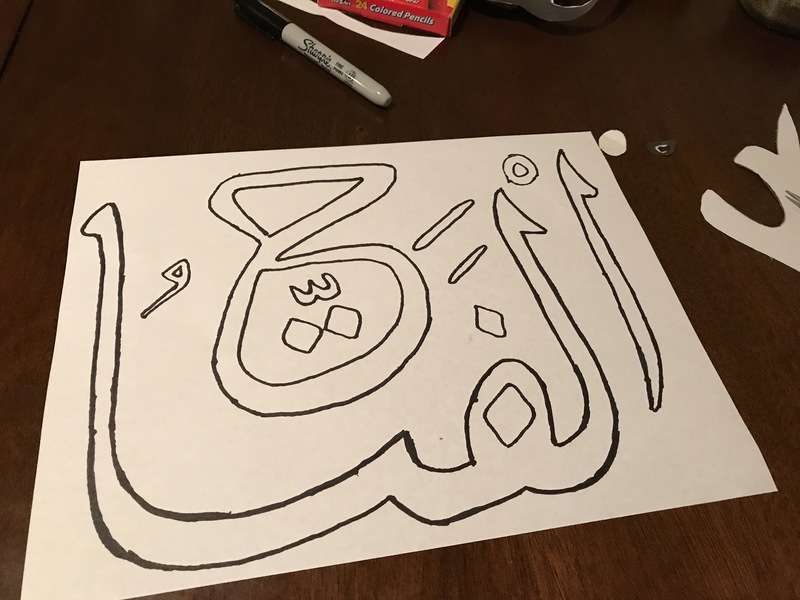 Al Fattah (artwork) | Between Sisters, SVP! 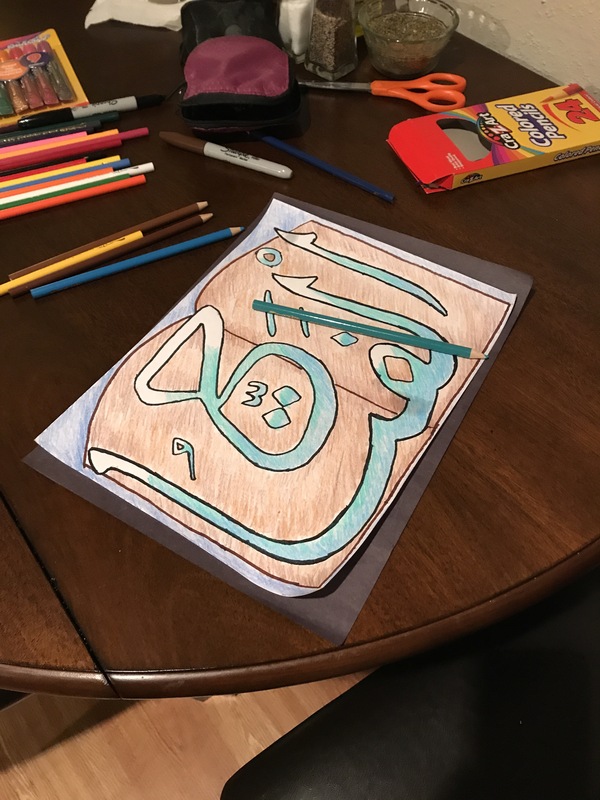 Spent the evening, coloring. Al Fattah. 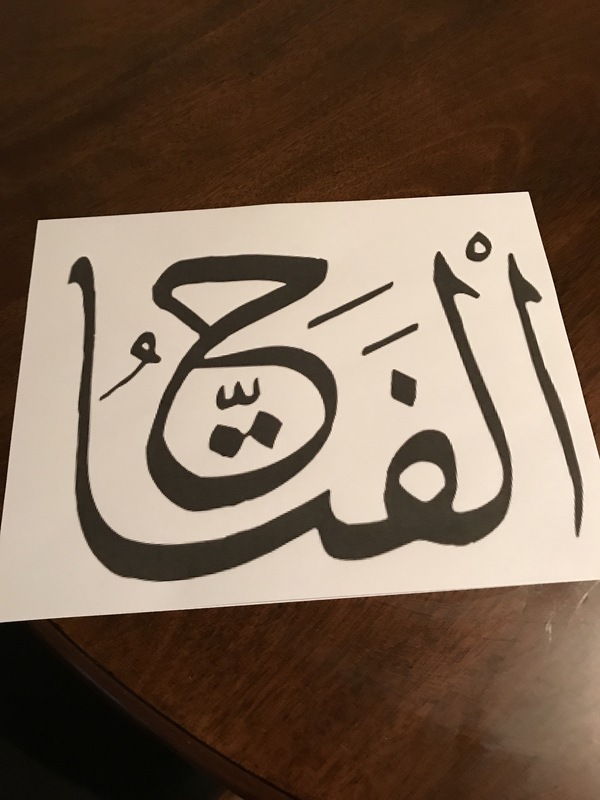 First I printed out Al Fattah in Arabic to fit the size of letter paper. 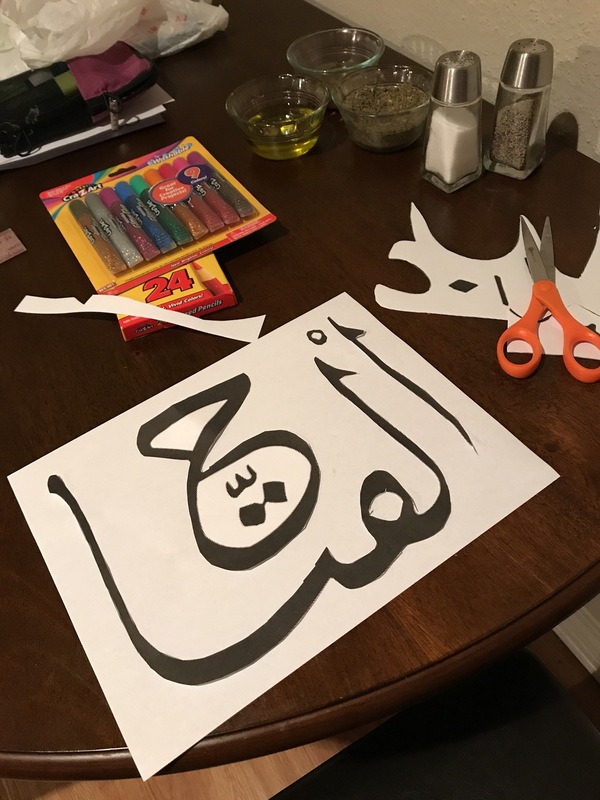 I then cut out and traced the Arabic onto another piece of white letter copy paper. I improvised with some of the articles as they were to small to cut out. I then drew a door behind the name and began coloring. 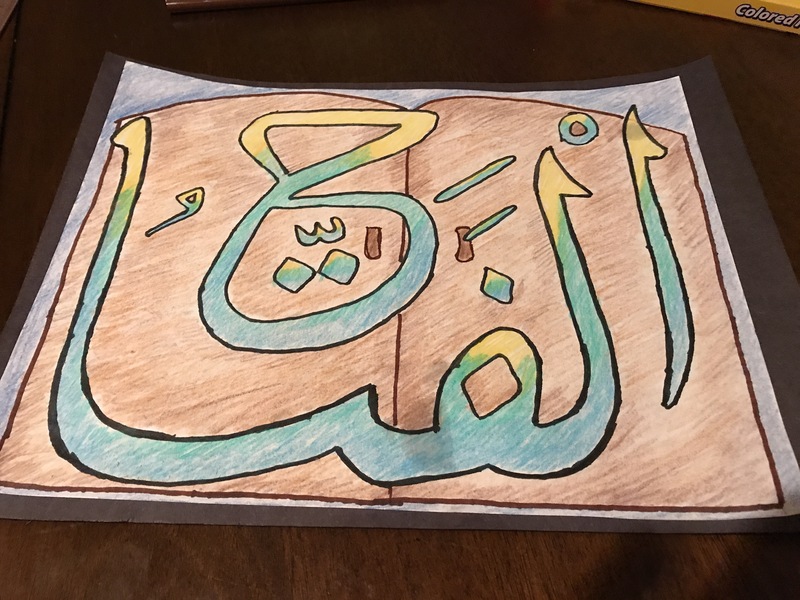 This entry was posted in Faith and tagged 99 names of Allah, al-Fattah, Al-Khaliq, Mommy Who Is Allah, Susan Jones, Susan Zainab Jones. Bookmark the permalink.